Oriflame products are natural Swedish cosmetics. At Oriflame you have the opportunity to become a Consultant and on the same day, you can show the catalogue to your friends, neighbors and colleagues, take an order and earn money...CASH... immediately...! You can also invite people you know to become Consultants and start building your team and enjoy unlimited... CHEQUE...earnings as your sales grows........... your cheque income starts with 3% of your sales and increases to 6% and so on. As a first time Oriflame Manger you will be invited to the Oriflame National Managers Seminar in Goa in 2019. You become a Manager when you reach 12% level. If you need guidance on how to reach this level faster, you can write a comment at the end of this post and also join our Google group. If you have not yet joined Oriflame, you can become a part of my team and take direct guidance from me. Call or WhatsApp me on 9820850522. You will get regular updates and also get answers to your questions from senior members in our Google group 'Beauty consultants India' on Facebook. All you need is determination, hard work and someone who can guide you. You can learn the SARPIO system from me and become a Manager in Oriflame in just a few months. How many points do you need to become a Manager? For reaching Manager level you need 2400 group points. As the number of people in your group expand, your points will also increase and once it crosses 2400 you are a Manager. From here the leadership levels begin. Regarding your second question, Income x period is the income you have earned so far in this year. It is a total amount. The income you have earned this month is reflected in 'Bonus' section. Hope I have answered your question. How much can you earn as an Manager in Oriflame? When you become a Oriflame Manager you start getting monthly income of 10,000 or more. You can also qualify for Managers Seminar. As you progress to higher levels you can earn even more! 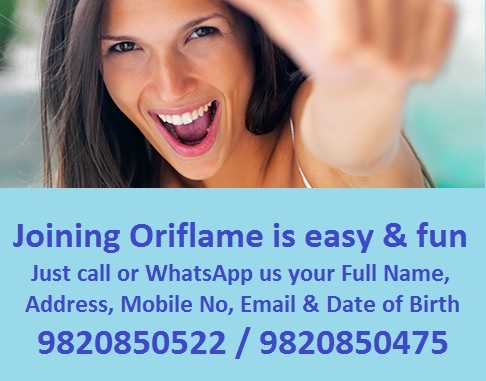 If you are thinking of joining Oriflame and become a Manager in Oriflame I can be your guide. I have supported many people in becoming a Manager. Once you become an Oriflame Manager then you can aim to become a Senior Manager in Oriflame and earn even more income. i am a new consultant of oriflame and i am bit confused on how i could become a manager in a sense how much BP do i have to earn? how can i become a leader? and whats the income X periods on my page mean? please help me with my doubts please.thank you.